Future aviation engineers started today their "Drone Program" as part of our "Hays-Porter Computer/Robotics Club" of Code for Kids initiative! We'll also have a kids competition (elementary school level) for the fastest expert in Code.org's Frozen, with the winner receiving a gift cards. Complimentary food and refreshments will be provided. I am so happy that the word is spreading out! Today we hosted a group of potential volunteers from West End Cincinnati, incl. employees from a local company, to share with them what we do! They found out about our program and reached out to me to learn more about how they could help! 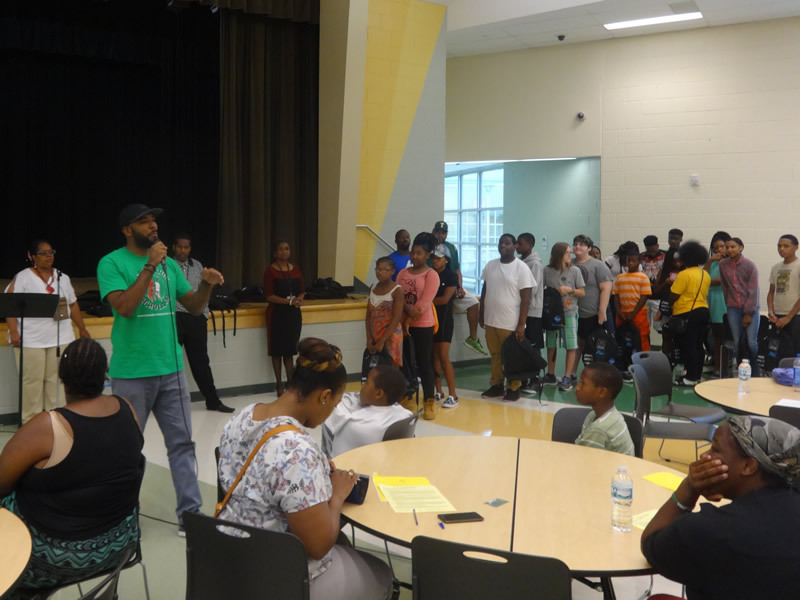 This is so awesome how the West End Cincinnati community is getting together to support our efforts to create an "IT Education Hub" in West End focused on teaching kids the high-tech skills for the high-paying jobs of tomorrow! I couldn't be more thankful! 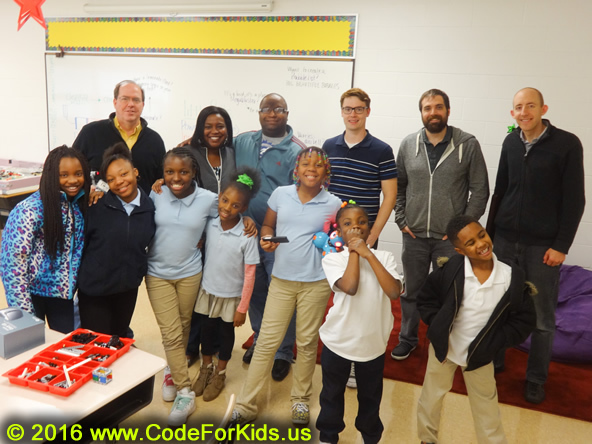 More Coding and Robotics at Ohio's first High-Tech Elementary School: the West End Cincinnati's George Hays-Jennie Porter Elementary! So happy to see students from Robert A. Taft Information Technology High School coming to help the Elementary School students! Thank you Ms.Celietta Beamon and Mr. Woodly for making this happen! 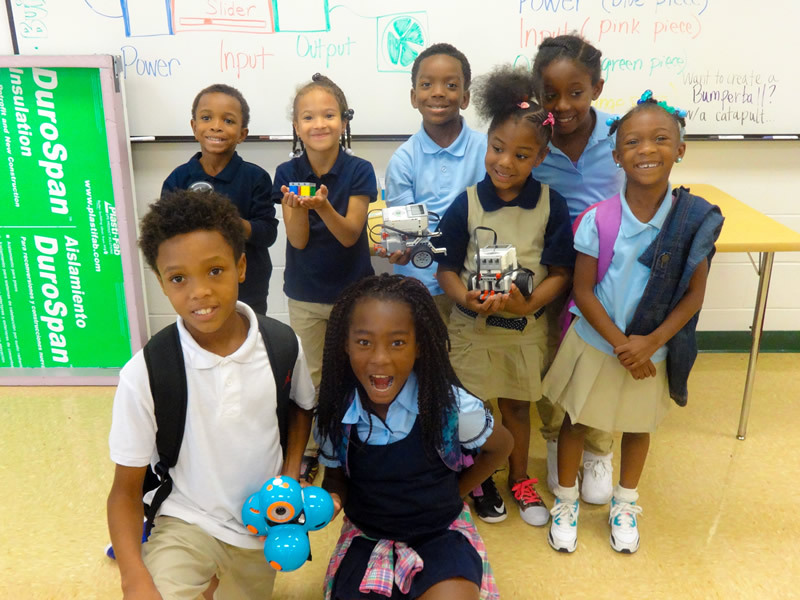 We are in process of selecting students for the West End Cincinnati's George Hays-Jennie Porter Elementary Robotics Competition Team! These girls were working hard, stayed focused, so they've made it! There will be several more students, probably 15-20 total, from which we'll select the top 10. Preschoolers in today's Robotics class - they had a lot of fun. 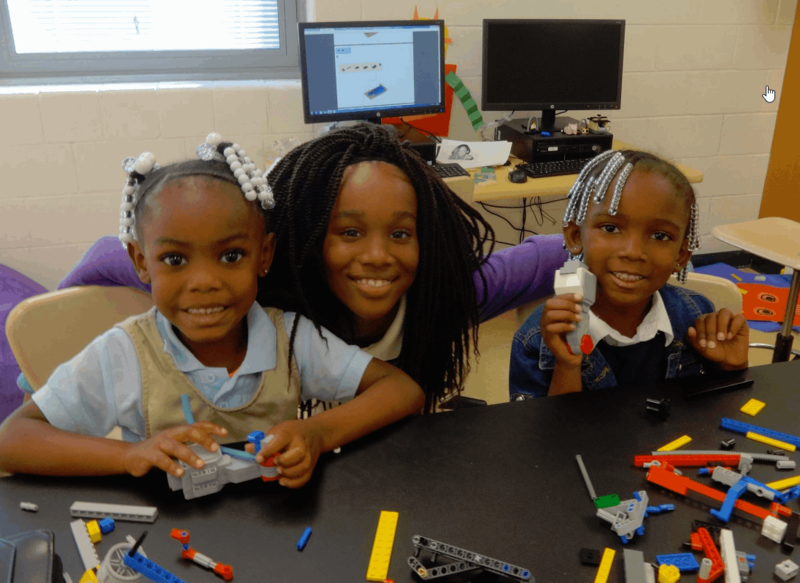 We have to engage the kids as early as possible, so they learn to be become "creators" of technology, and not just "users"
In recent study of fourth graders showed that 66 percent of girls and 68 percent of boys reported liking science. But something else starts happening in elementary school. By second grade, when students (both boys and girls) are asked to draw a scientist, most portray a white male in a lab coat. Any woman scientist they draw looks severe and not very happy. The persistence of the stereotypes start to turn girls off, and by eighth grade, boys are twice as interested in STEM (science, technology, engineering, math) careers as girls are. 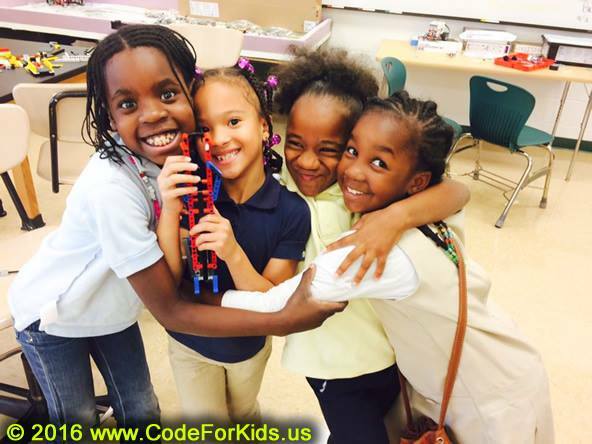 In our IT/Robotics clubs we make sure that girls have every opportunity to explore and have fun with high-tech! 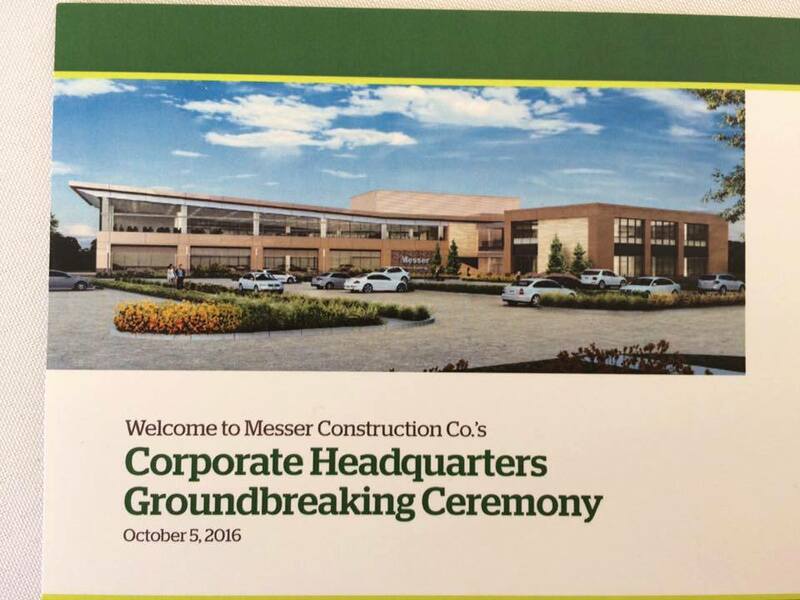 Messer Construction is moving Corporate Headquarters to West End Cincinnati! The Groundbreaking Ceremony was fantastic, with many special speakers, incl. Mayor John Cranley, Rep. Steve Chabot, Messer CEO Tom Keckeis, and Messer VP, Tim Steigerwald. Messer also donated $500 to George Hays-Jennie Porter Elementary! That was a very nice surprise! THANK YOU!!! Once Messer moves here next year, they will become a Corporate Sponsor of the school, providing tutors and mentors! This will make a huge difference in lives of the kids! Under the new Every Student Succeeds Act (ESSA), Ohio is creating a plan for how our local, state and federal programs are aligned to help all of our students be successful. The Ohio Department of Education is committed to comprehensive and collaborative community engagement leading to the development of our state Student Success Plan. A plan that is deeply rooted in the needs of Ohio’s students, educators and communities requires everyone’s input. Therefore they organized 10 regional meetings informing various stakeholders about ESSA and collecting suggestions and recommendations. There were more than 11,000 responses to the ESSA online survey. 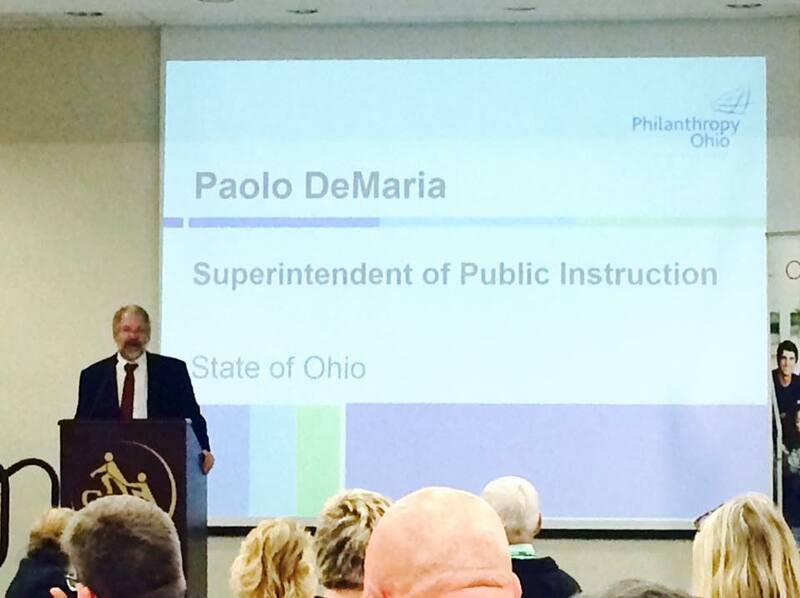 Additionally, the Ohio Department of Education attended more than 70 meetings and presentations around the state. Those interested in submitting suggestions and recommendations may do so at essa@education.ohio.gov. Very good and informative event, and a lot of nice people! 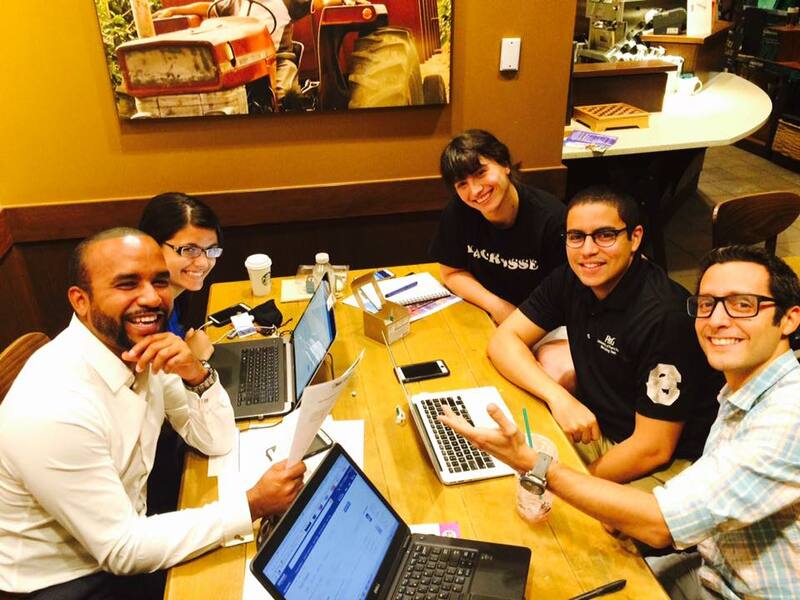 Board of the SHPE Cincinnati Professional Chapter had a planning meeting for the new school year. 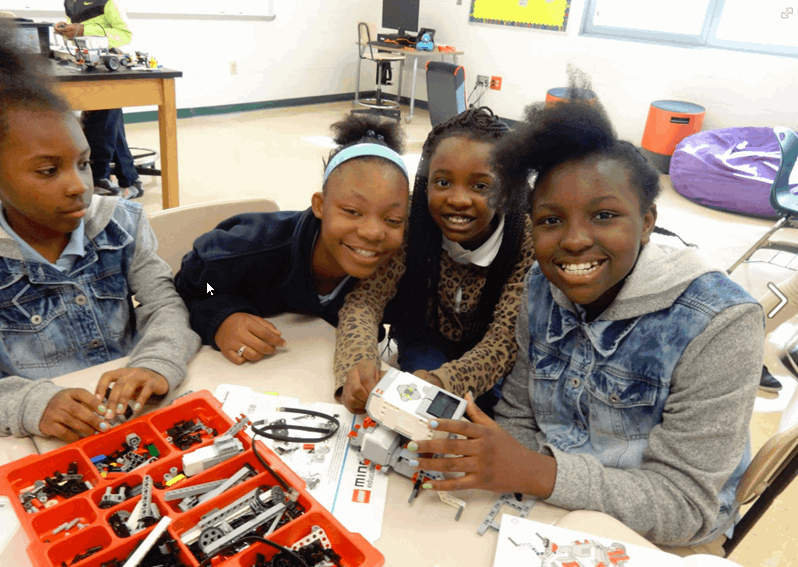 West End Cincinnati's Hays-Porter students building their first robot. Several kindergarten kids are part of it too, and they did fantastic! This group finished building the robot from scratch in 80 minutes! Great team work, it was great to see the older kids helping the younger ones! So proud of them! Thanks to the Cincinnati Reds, many families of Hays-Porter students and staff attended the Reds game on Sunday, Sep. 18th, 2016. It was a great opportunity to bond and to celebrate Hays-Porter becoming “High-Technology” Elementary School. We also had the technology teacher from Taft IT High School, Ms. Beamon, and few of her students, sharing info about IT Education Pathway opportunities in their school. Thank you Cincinnati Reds Team for supporting our West End community and Hays-Porter “High-Tech” Elementary School. Hays-Porter Students Love Cincinnati REDS!!!! 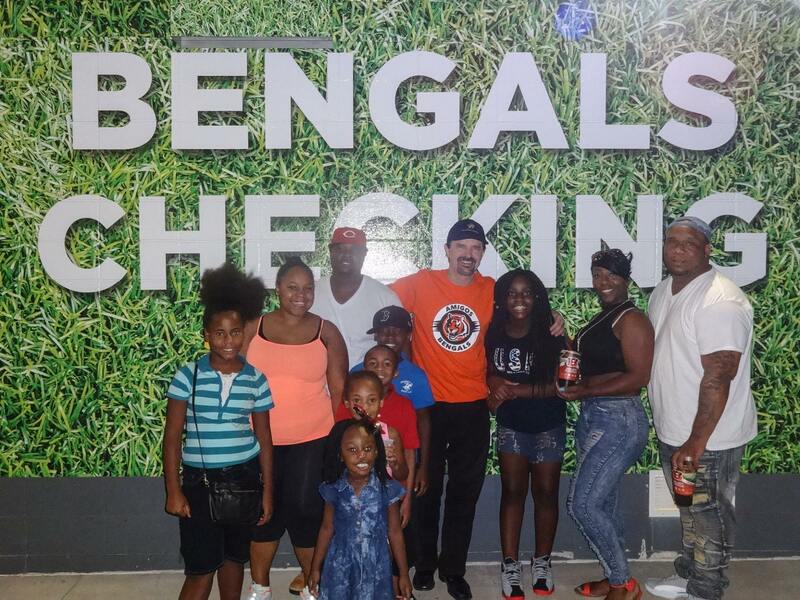 West End Cincinnati's George Hays-Jennie Porter Elementary Robotics Club with parents attended the Bengals Game. What a wondeful and exciting day for West End! 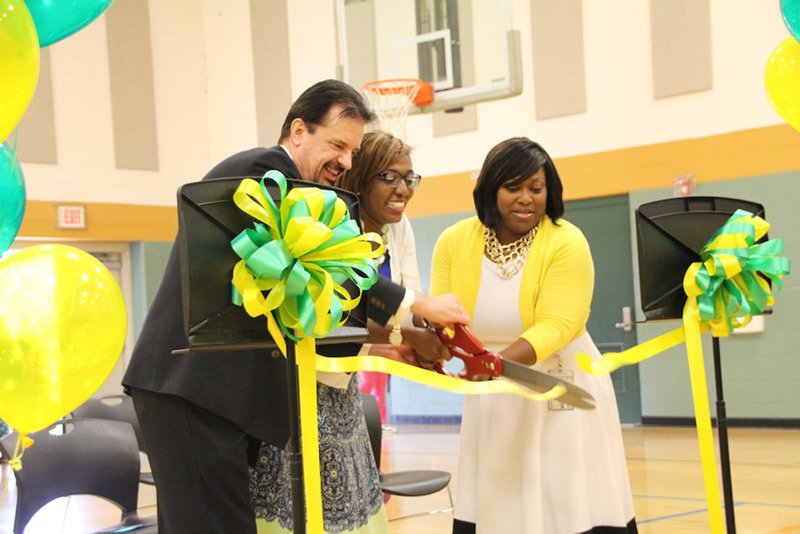 Two years in making, today our dream of having a high-tech elementary school in West End Cincinnati as a feeder to Robert A. Taft Information Technology High School and creating an "IT Education Hub" here, has become a reality! 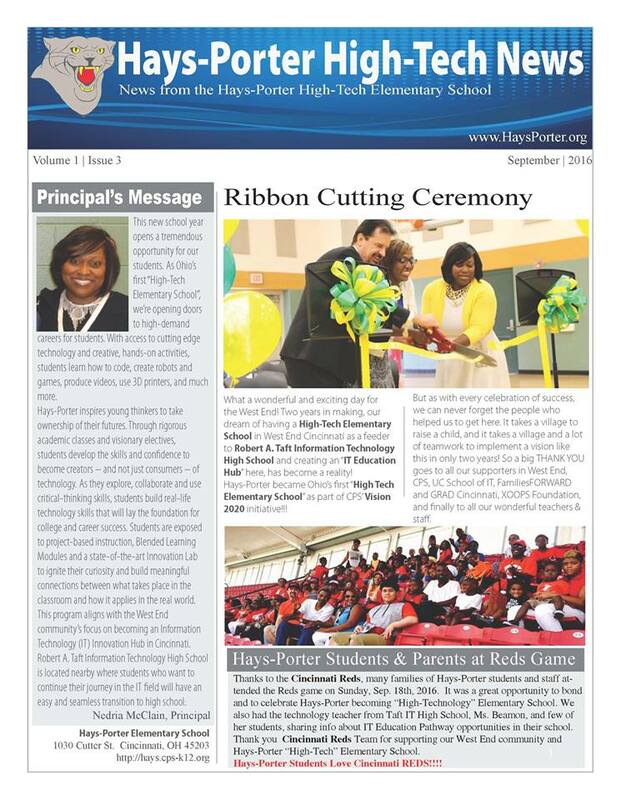 Hays-Porter became Ohio's first "High Tech Elementary School" as part of CPS Vision 2020 initiative!!! - finally, a very special thanks to Mr. V. Anthony Simms-Howell, OCHLA Commissioner, and his wife Julieta (a teacher at Taft IT High School) for their tireless support for kids education in our city! As you can see, when we work together, when we support each other, miracles do happen!!! we are extremely lucky to have Leadership Scholars starting on October 4th their Parent Academy, a FREE 7 week course for parents, teaching how to help your children to get "ready for college". With Hays-Porter being now the High-Tech Elementary School, with Taft being the Information Technology High School, we have created Ohio's first ever IT Education Hub in West End, where our students have the opportunity to learn the skills necessary for the high-paying jobs of tomorrow, and be able to make $80-$120,000 a year as a computer engineer, robotics expert or programmer. We would like to invite all West End residents to get engaged and help us to push the envelope even further. With your help and support, let’s make West End the Silicon Valley of Cincinnati, with high-tech companies moving to West End, eager to take advantage of our highly educated youth and their high-tech expertise, or our students becoming the next Steve Jobs by founding their own start-up companies. With our IT Education Hub being now a reality, no neighborhood in Cincinnati is better equipped to accomplish that than West End! On Tuesday, August 16, Robert A. Taft Information Technology High School welcomed new students to on Open House. Student and parents participtaed in an orientation program, where teachers and coaches informed them about different academic and sport opportunities, as well as about transportaion, opening and closing hours, and veriaty of extra-curriculum activities. External agencies had tables to inform about their services, e.g. if students ever run into substance abuse problems. Garry Horton from Leadership Scholars presented to the parents the upcoming "Parent Academy" which will start on October 4th. This seven-week comprehensive program is designed to empower parents, or any significant adult in a child’s life, with proven strategies and tools to support strong academic, social & emotional development of their children. With the ultimate goal of helping their children attend and graduate college, it offers methods to lend support at home, in the classroom, and for parents to better interact with their child’s school. The Hays-Porter High-Tech Elementary School is featured in CPS Vision 2020 Video! As part of Vision 2020, a three-year plan to improve neighborhood schools, CPS is adding exciting new programs at 7 schools during the 2016-17 school year. And Hays-Porter Elementary School has been selected to be one of them, becoming Ohio's first "High-Tech Elementary School"
West End is extremely proud of having one of the selected schools for the CPS Vision 2020 program! It's just another proof that CPS believes in our neighborhood, and that we can become the role model for other schools and neighborhoods! Hays-Porter High-Tech Elementary School and the Robert A. Taft Information Technology High School, working together, are making the vision of West End as the "IT Education Hub" a reality! 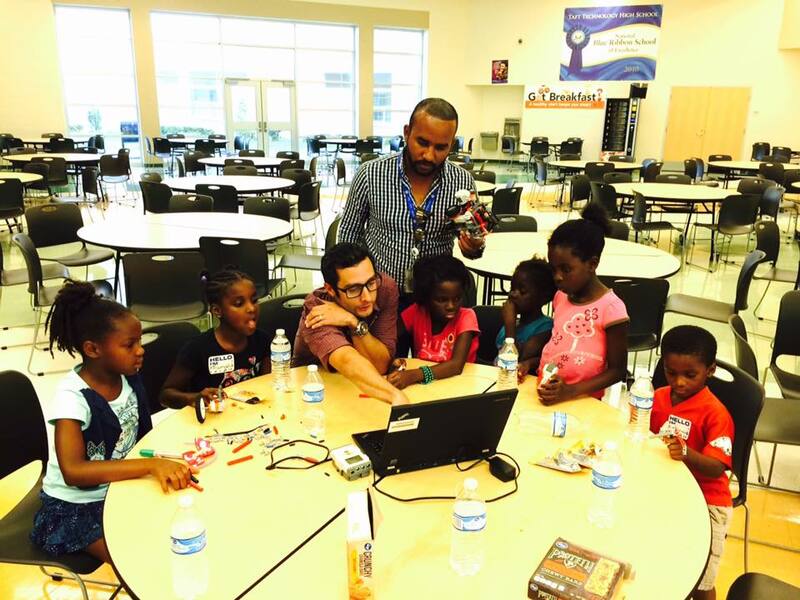 West End Cincinnati kids learning robotics, coached by SHPE Cincinnati as part of the "Summer of STEM"
Thank you Robert A. Taft Information Technology High School and the Principal Mr. Michael Turner for hosting this event! We very much appreciate it! And thank you Mr. Woodly, and Ms. Keenon for being there for us! Special "Thank you" to Mr. Ralph Jones for his wonderful support at all our events in the school! You're a true example of reliability, friendliness, and willingness to go the extra mile! 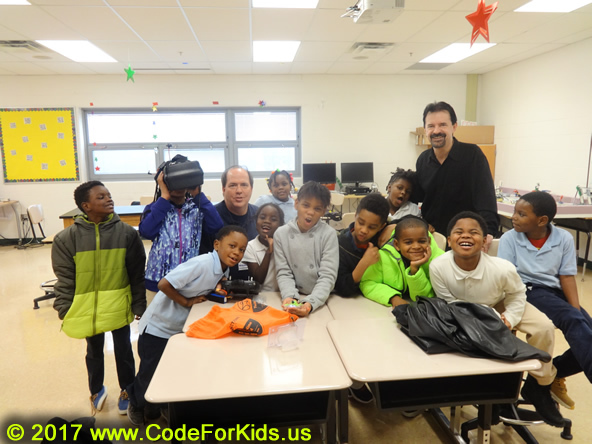 It was great to students from George Hays-Jennie Porter Elementary, attending this event! The school, becoming this year Ohio's first "High-Tech Elementary School", will have a huge impact on making West End the "IT Education Hub"
At the first meeting of the West End Education Alliance in February, we've agreed to focus our efforts on reaching out to parents in West End in order to to engage them in education of their children. After we've heard many wonderful stories about the impact Leadership Scholars program has on parents and students participating in the programs, incl. 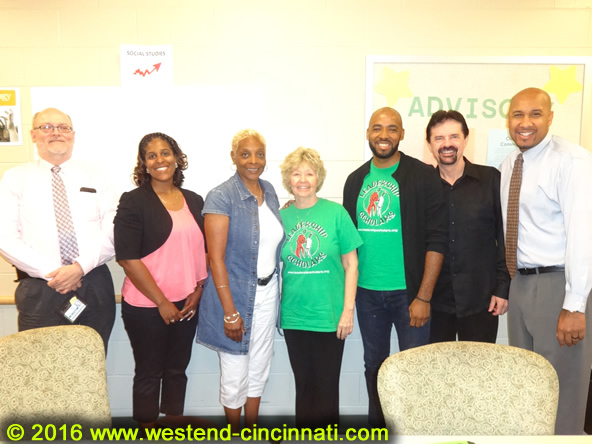 West End's St. Joseph's Catholic School, we have invited to our May meeting the founder, Dr. Patricia White, and Mr. Garry Horton, Director of Exteral Relationships, to meet with us and explore possibilities for a neighborhood-wide program for West End parents. We are very happy to announce that this fantastic program, the Leadership Scholars Parent Academy, will be coming to West End in the Fall, starting October 4th, and we would like to invite all West End parents to consider participation.